There are 18 phases in the silat program. Free Online Lessons – This is mostly phase 1 material shown in a semi-instructional/demo format. It will provide an introduction to what we do and hopefully provide you with a few techniques and ideas to add to your own practice. We will try to update & add new material every couple of weeks. 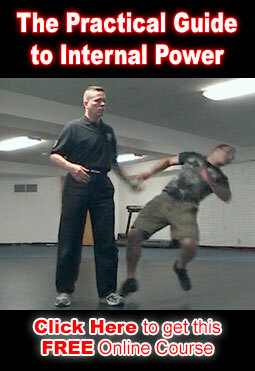 Phase 1 – Contains the building blocks needed understand and quickly learn higher level silat. Principles, techniques and types of movement are broken down and explained simply and directly in order to provide functional skill right away while giving both beginners and experienced students insight into higher level material. Phase 1 will take about 6 months to complete. All Phase 1 (and higher) Videos are taught in a “classroom format.” Basically we took a camera into the classroom and filmed everything as it was explained and demonstrated in detail. And then after the students had worked on the material we turned the camera back on and answered any questions on film. Phase 2 – Phase 2 is about power and explosive speed. It builds upon averything in Phase 1 and makes all Phase 1 techniques at least 3 times faster and 2 times more powerful. By the end of Phase 2 you will be able to hit a minimum of 5-6 hits per second with full body weight & power for a minimum of 3 minutes nonstop. Phase 2 will take 6 – 8 months to complete. Phase 3 – Information coming soon.